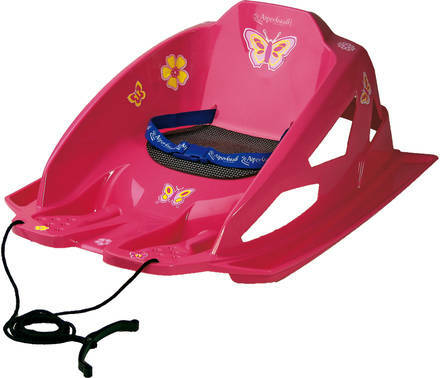 A safe sledge for toddlers. The high sidewalls, the low centre of gravity and the large seat, all in all, provides a very safe and comfortable ride for the youngest. Includes a sturdy seat belt and a pull rope with handle. Made of high-quality HDPE which remains flexible and sturdy even at low temperatures.